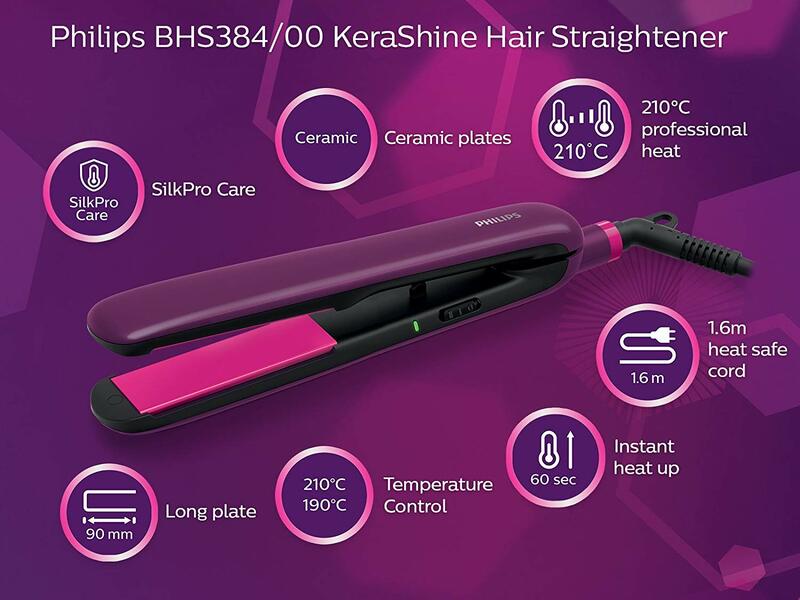 Plates smoother than silk glide through your hair with optimized temperature, minimizing friction and resulting in less heat exposure. For beautifully straightened silky smooth hair. 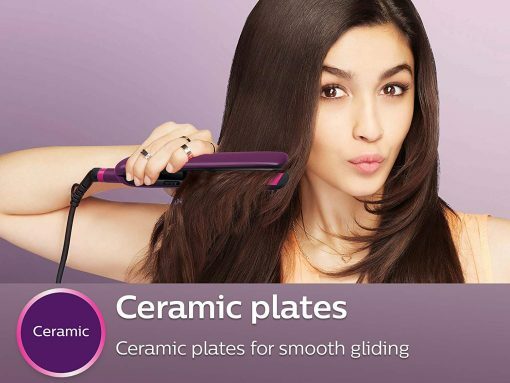 Infused ceramic plates for ultra smooth gliding and straight hair. 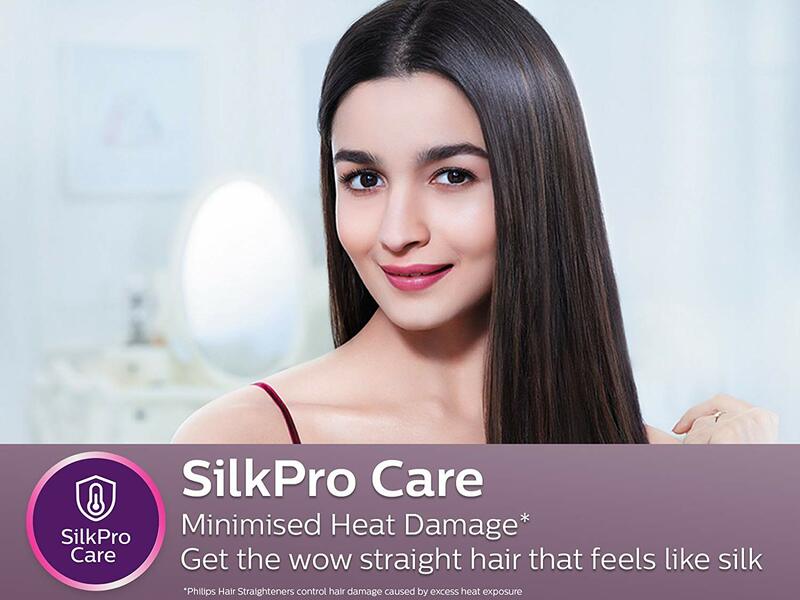 This optimal temperature enables you change the shape of your hair, and gives you that perfect look like you’ve just come from the salon. 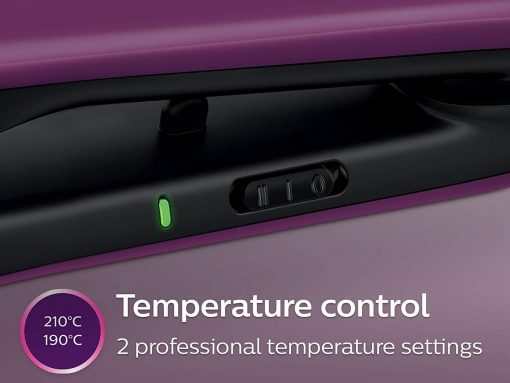 The temperature settings allow you to adjust the styling temperature to 190°C or 210°C for extra care at lower temperatures and more control over your preferred styling setting. 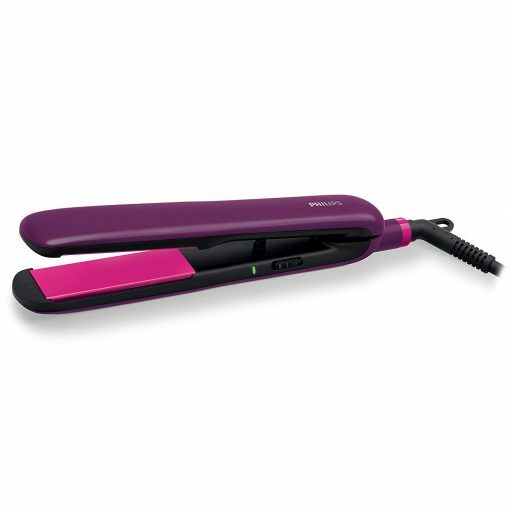 The straightener has a fast heat up time, being ready to use in 60 seconds. The straightening plates have a professional length of 90mm, leading to faster and easier straightening. 1.6m cord for maximum flexibility wherever you style. The swivel cord technology conveniently rotates the cord and prevents unnecessary tangles. Softly brush your hair out and divide it in sections for easy styling. 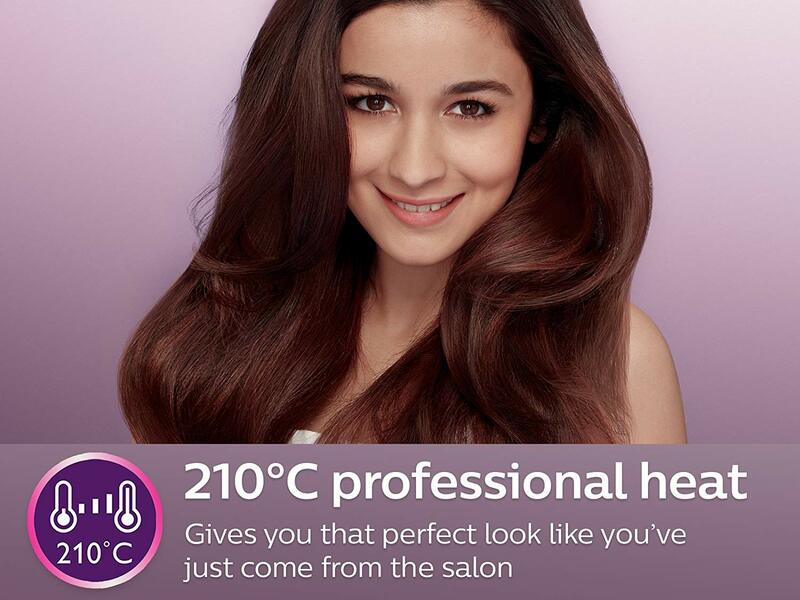 Using your finger tips, lift the section of hair you want to style.